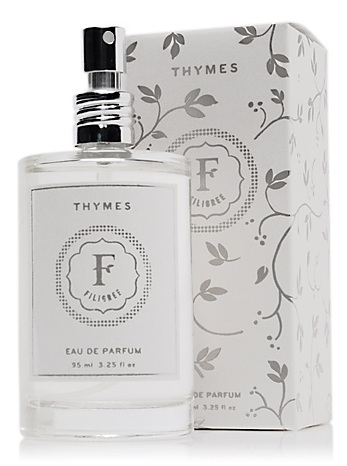 Around the holidays, Thymes Frasier Fir is always my go-to candle, with a real, fresh Christmas tree scent. The forest fragrance captures the aroma of Siberian fir needles, cedarwood and sandalwood with undertones of rich floral musk. Frasier Fir has a new look this season, also available as a candle tin ($18.50), as a 3 wick candle ($50) and as a set ($34.50). Take a look at the other Frasier Fir products here. 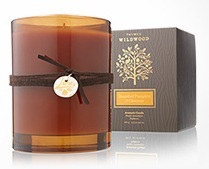 Another favorite that is new to me is the Thymes Brandied Pumpkin & Chestnut candle, a warm and cozy scent infused with Madagascar vanilla, cinnamon bark, sweet nutmeg and spicy clove. The 2 oz votive candle ($12.50) makes a super-cute stocking stuffer! Check out Brandied Pumpkin & Chestnut's assortment including a few candle options, diffuser ($60), diffuser oil refill ($30), home fragrance mist ($18), potpourri ($44) and refresher oil ($19). 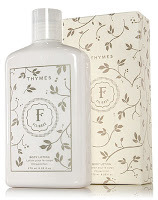 Filigree is one of Thymes' popular limited-edition collections, with an elegant scent of rich amber, juniper berry, warm cedarwood and neroli, blended with spearmint, lavender and spicy ginger. 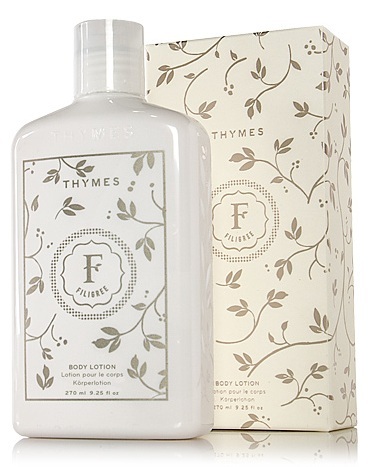 This holiday season, Thymes has added a Filigree body lotion ($25), body wash ($19), Eau de Parfum ($60), gift set ($44) and home fragrance mist ($17).